I've found a good 3d printable SD card case to take with you to the field. I also fly professionally so this will be useful for me here as well. Funny, I just came across this on Thingiverse too. I only have 2 SD cards though so I don't need one of these yet. 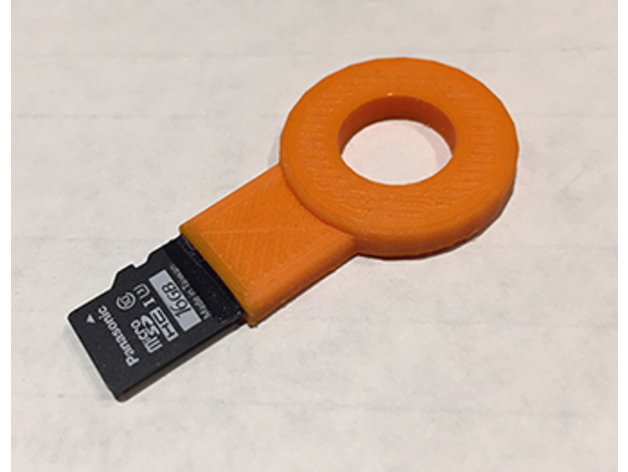 I have thought about maybe an SD card "handle" so I don't have to grip it with my fingertips at the very edge. Exactly! Thanks for the link.